MINNEAPOLIS — The Naismith Memorial Basketball Hall of Fame Class of 2019 consists of former Boston Celtics coach Bill Fitch, Sidney Moncrief, Jack Sikma, former Celtics guard Paul Westphal, Teresa Weatherspoon and Bobby Jones, among others who will be enshrined as part of weekend ceremonies Sept. 5-7 in Springfield, the birthplace of basketball. The Tennessee A&I teams of 1957-59, Al Attles, Charles “Chuck” Cooper, Vlade Divac, Carl Braun and the Wayland Baptist University teams of 1948-82 were also announced as the Class of 2019 on Saturday hours before the Final Four at U.S. Bank Stadium. Divac, currently the general manager of the Sacramento Kings and formerly a player for the franchise, played in the NBA from 1989-2004. Divac won silver medals with Yugoslavia in 1988 and 1996. He was an NBA All-Star in 2001 and was named to the FIBA Hall of Fame in 2010. Westphal was an NBA coach after a five-time NBA All-Star career.Tennessee A&I was the first college team to win back-to-back national championships. The Wayland Flying Queens helped break women’s sports barriers and prompted the start of Title IX. Moncrief said he was surrounded by players who knew had to win basketball games. Among those nominated and not inducted in 2019 are former Michigan and NBA great Chris Webber, former Detroit Pistons big man Ben Wallace and Bucks forward Marques Johnson. Weatherspoon was inducted into the Women’s Basketball Hall of Fame in 2010. A two-time All-American at Louisiana Tech, Weatherspoon was also a six-time Italian League All-Star and two-time champion in the Russian League before the WNBA was launched. She was an All-Star from 1999-2003.”That round ball gave me an opportunity to do so many things,” Weatherspoon said as she thought of the fact she now reached the highest honor in her sport, soon-to-be enshrined in Springfield. · Infielder/outfielder Brock Holt was placed on the 10-day injured list with right eye scratched cornea. 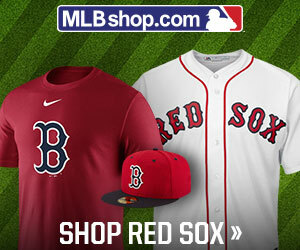 · Left-handed pitcher Brian Johnson was placed on the 10-day injured list with left elbow inflammation. · Infielder/outfielder Tzu-Wei Lin and right-handed pitcher Marcus Walden were recalled from Triple-A Pawtucket. Holt, 30, has gone 1-for-16 (.063) in six games for the Red Sox in 2019, making four starts at second base and one at shortstop. Acquired by Boston in December 2012, the left-handed hitter has been a part of two World Series championship teams (2013, ’18). In 109 games in 2018, he hit .277 (89-for-321) and set career highs in RBI (46), on-base percentage (.362), and slugging percentage (.411) while matching his career best in home runs (7). In Game 3 of the 2018 American League Division Series at Yankee Stadium, Holt became the first player in major league history to hit for the cycle in a Postseason game. Johnson, 28, has appeared in four games in relief for Boston this season, going 1-0 with a 12.71 ERA (8 ER/5.2 IP) and seven strikeouts. The left hander, who made his second consecutive Opening Day roster in 2019, was the winning pitcher in the Red Sox’ first victory of the year on March 29 at Seattle. Johnson spent the entire 2018 season—his first full year in the big leagues—on the Red Sox major league roster working between the starting rotation (13 starts) and the bullpen (25 appearances). Following the 2018 season, he was the recipient of the Boston BBWAA’s annual Unsung Hero Award for his contributions to the club. Lin, 25, was Pawtucket’s starting shortstop and leadoff hitter in the club’s Opening Day game at Syracuse on April 4, going 1-for-4 with a walk and a stolen base. One of only four position players in major league history born in Taiwan, the left-handed hitter has appeared in 62 games for Boston over the last two seasons (2017-18). In 2018, he batted .307 (85-for-277) with an .810 OPS for the PawSox, also appearing in 37 games over five stints with the big league club. He has posted a career .348 on-base percentage in the majors, making 15 starts at shortstop, seven at third base, five at second base, and one in center field. Walden, 30, has made one appearance for the PawSox this season, throwing 1.2 scoreless innings on April 4 at Syracuse. In 2018, he made his first career Opening Day roster with the Red Sox after going to camp as a non-roster invitee. He made his big league debut with Boston on April 1 at Tampa Bay. Over his three stints with the Red Sox in 2018, Walden posted a 3.68 ERA (6 ER/14.2 IP) with 14 strikeouts in eight relief appearances. The 2019 season marks Walden’s third consecutive year in the Red Sox organization. PHOENIX – Ketel Marte hit two home runs, including a grand slam, and Adam Jones — Boston’s former American League East nemesis with Baltimore — belted another homer in the Arizona Diamondbacks’ 15-8 win Friday over the Red Sox in Phoenix. Pinch hitter Ildemaro Vargas got in on the barrage, hitting his second career homer, in the sixth that gave Arizona a 14-1 lead. Alex Avila, a catcher who bats eighth in the lineup, added a home run in the eighth to give the Diamondbacks a 15-5 lead. Porcello has a 13.50 ERA in 7 1/3 innings this season. He has allowed 16 runs (11 earned) and 16 hits. Through the first nine games, Red Sox starters have an ERA of 9.60. Boston has allowed 23 home runs. Eight of the nine players in Arizona’s lineup, including starting pitcher Zack Godley, had at least one hit in Friday’s win. The Diamondbacks finished with 18 hits. Arizona sent eight batters to the plate in the fourth against Porcello and scored four runs on four hits to take a 5-1 lead. Marte, who has three home runs this season, started the rally with a one-out, 443-foot blast to right field. Godley aided the rally with an RBI single. Godley went 2-for-3 with two runs and an RBI. On the mound, he is 1-1 after allowing three hits while striking out five and walking three in 5 2/3 innings. Jones hit his fourth home run of the season as part of a two-run fifth, before the Diamondbacks sent 10 batters to the plate in the seven-run sixth. Mookie Betts hit a homer as part of a four-run eighth inning, and Mitch Moreland added a three-run shot in the ninth for the Red Sox. MINNEAPOLIS – Bobby Jones, Sidney Moncrief, Paul Westphal, Vlade Divac, Al Attles and Chuck Cooper will be inducted into the Naismith Memorial Basketball Hall of Fame this year, ESPN reported late Friday night. The official announcement will be made Saturday in Minneapolis, where the full class of 2019 was announced in the hours before the NCAA Final Four semi-finals was played.. According to ESPN, three highly regarded Hall of Fame candidates, Ben Wallace, Chris Webber and Marques Johnson, did not make the cut. Jones, 67, began his pro career with the Nuggets in the ABA before playing for Denver and then the Philadelphia 76ers in the NBA. He was a five-time All-Star and an 11-time All-Defensive Team selection in 12 seasons, and he earned a championship ring with the 76ers in 1982-83. Jones averaged 12.1 points, 6.1 rebounds, 2.7 assists and 1.5 steals in his career.Moncrief, 61, was a two-time Defensive Player of the Year and a five-time All-Defensive Team choice. He made five All-Star teams and was chosen five times to the All-NBA squad. Moncrief played 10 of his 11 NBA seasons with the Milwaukee Bucks, averaging 15.6 points, 4.7 rebounds, 3.6 assists and 1.2 steals.Westphal, 68, was a five-time NBA All-Star and four-time All-NBA player as a guard, mostly with the Phoenix Suns. He also was part of the Boston Celtics’ 1973-74 championship team. He averaged 15.6 points and 4.4 assists in 12 seasons. Westphal went on to coach the Suns, the Seattle SuperSonics and the Sacramento Kings, compiling a 318-279 regular-season mark and a 27-22 postseason record. Divac, a 51-year-old Serbia native, was selected by the Hall of Fame’s International Committee, according to ESPN. He played eight seasons with the Los Angeles Lakers, two with the Charlotte Hornets and six with the Sacramento Kings, averaging 11.8 points and 8.2 rebounds.Divac is currently the Kings’ vice president of basketball operations and general manager. Attles, 82, will be inducted into the Hall of Fame as a contributor, according to ESPN’s The Undefeated.Attles played for the Philadelphia/San Francisco Warriors before coaching the San Francisco/Golden State Warriors for 14 seasons, including the franchise’s title-winning 1974-75 campaign. He also served three seasons as the Warriors’ general manager. Cooper, who was the first African-American ever chosen in the NBA draft, was selected by the Hall of Fame’s Early African-American Pioneers Committee. The Boston Celtics selected him in the second round in 1950 out of Duquesne.He spent six seasons in the NBA in the 1950s, with the Celtics, the Milwaukee/St. Louis Hawks and the Fort Wayne Pistons. Cooper died in 1984 at age 57.